This book teaches personal safety, and positive character traits, and stresses that manners matter and so does patriotism. What a fantastic way to enrich kids’ lives with raps, and poems that focus on character driven themes, such as respect, responsibility, patriotism, kindness, and gratitude. In addition, this book offers an opportunity to approach the challenging task of preparing children for dangerous situations they may encounter in a fun and approachable way. This delightful book opens the door for those difficult conversations necessary to help children keep themselves and others safe. Indeed, this book will enrich children’s lives and help them make wise choices. 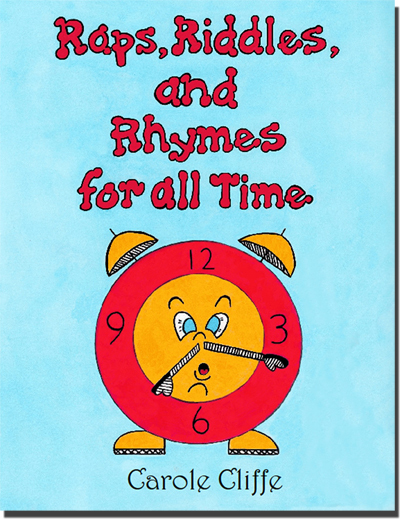 This book provides children a fun way to learn, and practice appropriate behavior. It encourages kids to become socially responsible citizens. I'm excited to share this practical "user friendly" book with the children and families that I service in my area. As a social worker for abused and neglected children, I know firsthand the importance of keeping children safe at home and in the community. The Be Alert, Don’t Get Hurt section of the book teaches children how vital it is to be cautious, and aware of their surroundings. I believe we empower our children by educating them. I'm confident what they learn and practice in this book, will enhance children's awareness, and will train them to be more cautious and safe.